Would you like to invest in the feel-good factor? Reap the dividends of good health and vitality year after year? Simple! Invest in a spa or sauna. More than just an opportunity to enjoy a variety of bathing options whenever you want, you’ll also acquire a place to relax with family and friends and your own personal refuge from the stress and worries of the world! We offer a complete range of prefabricated saunas in all shapes and sizes – from compact home-bathroom models to large, exclusive facilities for hotel suites or corporate representation. And we also give you a choice of fittings and equipment. If you have special requirements that aren’t covered by the standard range, skilled craftsmen are ready and willing to build you a fully customised sauna room, individually adapted to your wishes as regards size and design. Additionally, Flowman can provide you with all related accessories from the larger things like sauna heaters and interior fittings to the smaller products like thermometers and buckets. Save yourself some money and get your old sauna refurbished. 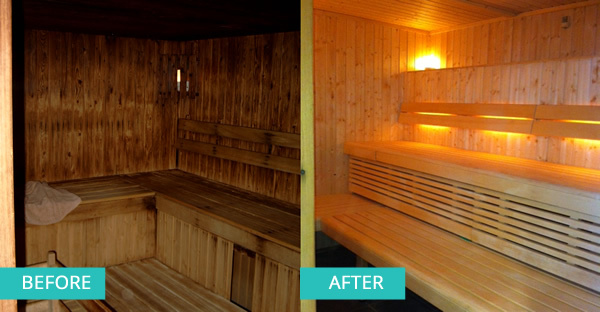 Our team have vast experience in refitting saunas. We can handle every aspect from reflooring, wood treatment, relighting and everything in between. To find out more about this service and to arrange a free quotation please just drop us a line and get in touch. Flowman are proud to supply our clients with one of the industry’s leading suppliers. Astral Spas are designed to provide you with the most luxurious spa experience. Aside from refined beauty, each spa features advanced hydrotherapy and powerful performance. Whether you want all the unique features imaginable, or want to include the specific features you desire, you’re sure to discover the perfect spa to fit your lifestyle. 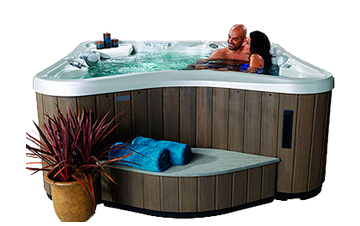 We can supply a range of spas to cater for any size of facility. We offer a free quotation service and our expert staff are here to help you with your installation. Flowman also offer cleaning products and accessories so that once your spa is installed, we can help you to keep it nice and clean. Please see our Pool and Spa Chemicals page for more info.